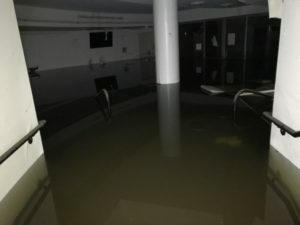 In late August 2017, the Alley Theatre was underwater – literally. 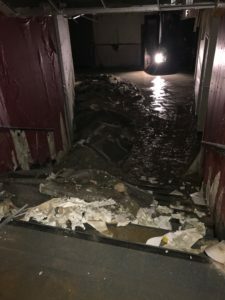 Water flowed into the theatre’s main facility, submerging the Neuhaus Theatre, knocking out power, and causing worries about mold and other damage to the Alley’s performance spaces. 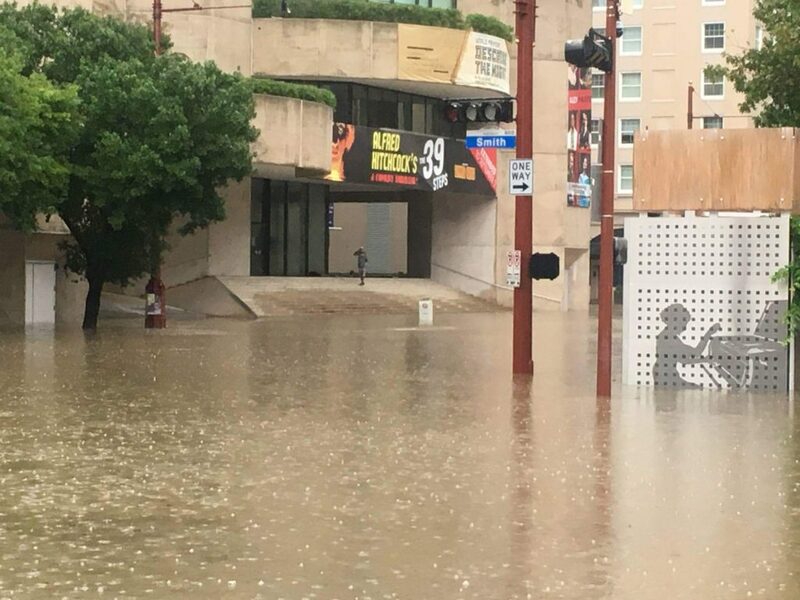 Alley Theatre exterior during Hurricane Harvey. But by late January 2018, performances were being held in all of the Alley’s available spaces. The premiere of Lover, Beloved, an important new work with high star power, took place in the renovated Neuhaus space in mid-February. How could the theatre do this, and so quickly? It was a combination of learning from past experience, undergoing a recent renovation, disaster planning, and working with available resources. No organization wants to go through this type of experience, but if a facility can react as quickly and professionally as the Alley did, they will be able to resume operations much sooner. In the nearly 17 years since Tropical Storm Allison hit Houston, the scope of flooding and damage from the storm has been dwarfed by Hurricane Katrina, Superstorm Sandy, and, most recently, Hurricanes Harvey and Maria. But the effects of the June 9-10, 2001 storm have certainly not been forgotten in Houston’s Theatre District. Flooding deposited up to three feet of rain in some areas, and caused a total of two billion dollars worth of damage in the Houston Region. The world premiere of the Horton Foote play “The Carpetbagger’s Children” had to be moved to another Houston theatre , as the basement-level second space, the Neuhaus Stage, took on water. Miraculously, only two performances had to be cancelled as the switch was made. The Neuhaus, restored and renovated, opened over eight months later, on January 23, 2002. After Tropical Storm Allison, all of the flooded shop and rehearsal spaces were relocated to an adjoining space to protect them from any future flooding situations. After recovering from Tropical Storm Allison’s floodwaters, the Alley had a relatively peaceful decade, disaster-wise, and the theatre benefited greatly from a renovation project begun in 2014. The Hurricane Harvey waterline is seen above that of Tropical Storm Allison. Additionally, on the Alley’s lowest basement level, semi-private dressing rooms and restrooms for actors were added, and the heating, ventilation, and air condition (HVAC) for the theatre was installed. The theatre prop storage area was damaged. Photo by Karin Rabe. Just over two years after the completion of the massive renovation project – which resulted in record attendance and revenues for the theatre  – disaster struck again, and this time more forcefully. In Hurricane Harvey, nearly five feet of water flooded the city, and streets above ground, as well as the city’s tunnel system below, were once again raging rivers of rain. One of the areas hardest hit by Harvey was the Properties Storage area. It is estimated that more than 80,000 stage property items were soaked, and only 8,000 ended up being recoverable. Items that might appear in multiple performances a year – from kitchen utensils to lamps, ceramic items, rugs and carpets, typewriters and computers, books, papers, and even dolls were damaged. On the public side of the theatre, some of its most familiar areas and items were severely damaged. The Mitchell Lobby and Neuhaus Theatre were flooded, and event ticket stock was destroyed, as were thousands of programs for the production underway when the storm hit, “The 39 Steps.” Online ticketing was temporarily knocked offline, as the theatre lost its internet service and servers from the power outage. The Neuhaus Theatre lobby following Hurricane Harvey. After initially seeing videos and hearing accounts of floodwaters reaching the top step of the Alley’s main entrance, administrative staff knew they had to act fast. Because of their experiences with Tropical Storm Allison in 2001, and their recent renovation in 2014-15, Alley Theatre management knew who to call for assistance in pumping water from the facility (nearly seven million gallons by some accounts), drying out the building, watching for mold blooms in the dark, warm, and humid facility, and monitoring air quality throughout the structure. Two of the first groups the theatre reached out to were Blackmon Mooring Steamatic Catastrophe, a national disaster recovery firm based in Fort Worth, Texas, and Bellows Construction, who were familiar with the theatre from previous projects. These organizations got crews onsite quickly to concentrate on water and debris removal demolition activities where needed, building dry-out, and, in later months, reconstruction of damaged areas of the structure. To begin taking care of the theatre’s damaged stage properties – rumored to be one of the largest collections in the country since it was begun in the late 1960s, and numbering close to 100,000 items, the group worked with local expert Steve Pine, Senior Conservator of Decorative Arts at the Museum of Fine Arts, Houston. Sludge was pumped from the Neuhaus Theatre. As a member of both the statewide cultural disaster recovery network, the Texas Cultural Emergency Response Alliance (TX-CERA; https://txcera.org) and of the national American Institute for Conservation of Historic and Artistic Works (AIC; www.conservation-us.org), Pine knew the importance of assessing the number of items subjected to water damage, and the scope and type of damage to each of the items. Noting damage to a wide variety of material formats, Pine called in members of the National Heritage Responders (NHR; https://www.nytimes.com/2001/06/13/us/flood-tunneled-into-houston-s-cultural-heart.html), a group of nearly 110 preservation and conservation specialists who can respond to arts and cultural organizations’ needs during emergencies and disasters, “through coordinated efforts with first responders, state agencies, vendors, and the public.” The group, which began as a vehicle to provide recovery assistance to cultural organizations after Hurricanes Katrina and Rita, has grown since then in size and scope. Responding to Pine’s call were experts from the San Antonio area and from Maine. 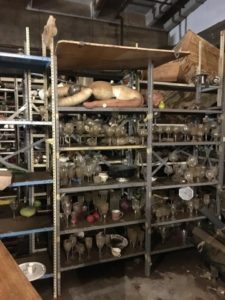 These responders put their knowledge of furniture, textile, and book and paper conservation to work, assessing the damage to the props collection, instructing props staff how to do the cleaning, and developing a full written plan on how to clean everything. Pine also assisted the Alley by locating space at the Stages Repertory Theatre offsite warehouse facility, a former MFAH space, which had clean and dry space, a working HVAC system, and good airflow to aid in the drying of props materials. From the time of the flood until demolition was completed was almost five weeks. And then, the large job of reconstruction began. The Alley met its goals of having the main Hubbard Theatre ready for its production of “A Christmas Carol” beginning on Thanksgiving Weekend. The Neuhaus was back in working condition by mid-January, in time for the Alley’s annual new play festival. This was a quicker turnaround than the Alley made after the less-devastating floods of Tropical Storm Allison, and is less than the 5-8 years some other performing arts centers around the country have taken to recover after extensive water damage. National Heritage Responders. Photo by Karin Rabe. The Wortham Theatre next door to the Alley, which houses the Houston Grand Opera and the Houston Ballet, will not be open for use until September 2018. As a visitor to the theatre in October, December, and February, the author saw a transformation from bare floors and structural beams in an initial visit to a space ready to present a world premiere production by Valentine’s Day. So how was the Alley able to come back so quickly, mounting productions in both the Hubbard and Neuhaus spaces within just five months? Cleanup of prop storage area. Information from interviews with a variety of members of the Alley Theatre management and staff show that there were many things that the theater’s administration and staff did well in the recovery from Harvey, even under great duress. A list of good practices and lessons learned appears below, which can guide any performing arts organization that has undergone a crisis from a major disaster to a smaller emergency incident. Backing up your organization’s servers, and considering offsite or remote storage of another copy of your backup can help you to resume business operations quickly. Additionally, working with your Internet provider and payroll company is important so that these activities are not affected by long-term service disruptions. If your organization has any type of forewarning of a hurricane or other type of major disaster, consider the important materials you can move away from areas prone to leaks. This might include business records, historical materials about your organization, unique or often-used props, and other priority items. If you can move them into a higher level in your building, that is good; if you can move them completely out of the storm’s path, that is even better. Take care of your staff: focusing on staff recovery from a disaster is extremely important. At the Alley, some of the ways this was evident was through Facebook communication that allowed for check-ins from the onset of the storm, communication with staff whose homes had experienced flooding or who were stranded due to vehicle damage or flooding of local streets and highways, and an online funding drive to support staff recovery (another fund was established for building recovery donations). 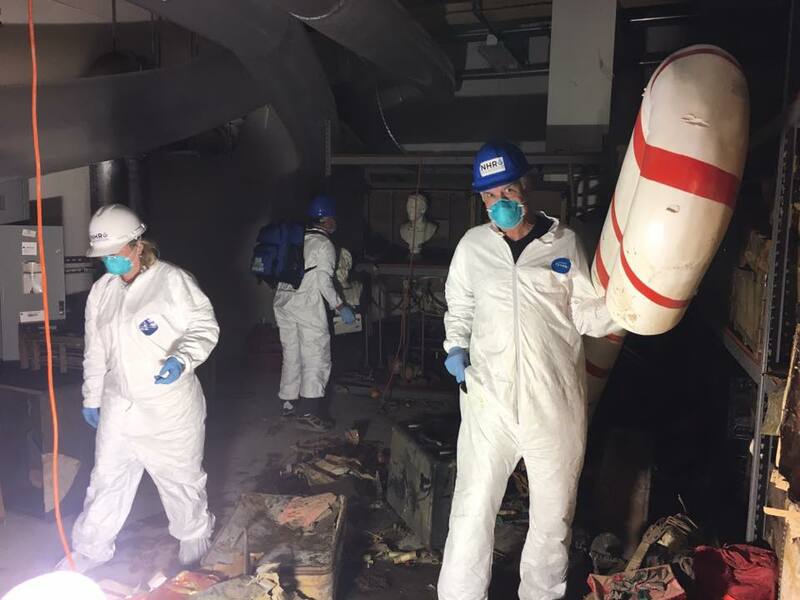 And, if your staff is working on recovery activities in a building that has been flooded or otherwise damaged, making sure staff has personal protective equipment such as respirators, gloves, and boots or other protective footwear is important, as is making sure staff members take regular breaks. Communicate with your audience and the public as soon as possible, as well. Letting patrons know about changes of venues, season schedules, or even social events such as fundraisers is important to keep them linked to and supporting your organization in a time of need both your organization’s need and your patrons or members need to think about something other than their own disaster recovery. If you need to bring on an outside public relations firm for a short period, consider that. Know your county, state, and federal emergency management representatives. Being familiar with the staff of state office of emergency management staff, as well as FEMA staff that specialize in working with non-profits and arts and culture organizations, can often help to get your organization specific assistance in the wake of a disaster. Inventory damaged materials, whether you are going to keep them or dispose of them. This can help in discussions with insurers, emergency management representatives, as well as organizational management and board members who may be supportive of you purchasing materials that are needed to resume quality productions at your facility. Network with peer organizations. In Houston, the Alley Theatre was part of a group of Theatre District organizations, and part of the Houston Arts Alliance. In these groups, management and staff were able to trade information and experience related to recovery activities. In addition, several Theatre District organizations collaborated to hold special events benefitting Harvey relief efforts. The Alley also began to work with the TX-CERA disaster recovery network that concentrates on cultural and arts organization recovery, and this in turn got the National Heritage Responders representatives onsite quickly to help consider damage assessment and recovery planning for damaged props and materials. Disasters can disrupt fundraising campaigns, season subscription sales, and even attendance at performances, as was evident all over the Houston region after Harvey. Organizations and individuals may be initially concentrating on recovery issues for their families and businesses. Having a disaster or business continuity plan for your development efforts is very important for the sustainability of your organization and survival if revenue streams are cut off. Set goals the Alley wanted to run A Christmas Carol, and wanted to resume productions in its smaller theatre facility for a slate of important events early in 2018. All of the work that staff and contractors were doing was scheduled backward from these goal dates. Develop a disaster plan. Or, if you cannot do that immediately, make sure you document how you have responded to past and current disasters, so you can see which best practices have worked for your organization and bear repeating in future incidents. Across the U.S., a number of organizations providing workshops and webinars, consulting, tools, and grants to assist performing arts and cultural organizations that have experienced disasters are expanding their efforts in the face of the hurricanes, wildfires, and other disasters that happened in the past year. To learn more about these efforts, visit the Performing Arts Readiness project website at www.performingartsreadiness.org. Jim Yardley, “Flood Tunneled Into Houston’s Cultural Heart,” New York Times, June 13, 2001. Christine Ehren, “Alley Theatre Sues Insurer Over Tropical Storm Allison Damage.” Playbill,May 24, 2002. Margaret Downing, “Updated: Alley Theatre Gets Ready to Move to a New Home for One Season.” Houston Press, January 29, 2014. 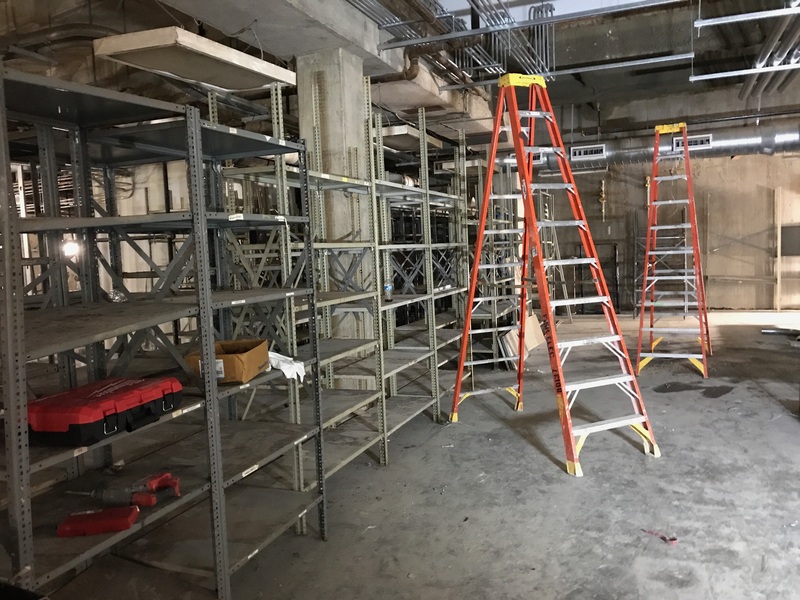 “Alley Theatre Renovation,” accessed February 27, 2018. Everett Evans, “Alley Theatre makes a comeback with major renovation.” Houston Chronicle, September 23, 2015. “Alley Theatre Wraps Up 2015-16 inaugural season in newly-renovated theatre with record attendance.” Houston Chronicle, last modified July 14, 2016. Olivia Pulsinelli, “Backstage: Inside the Alley Theatre Renovations.” Houston Business Journal, January 9, 2015. Allison Considene and Diep Tran, “Houston Theatres Survey the Damage.” American Theatre, August 28, 2017. Molly Glentzer and Wei-Huan Chen. 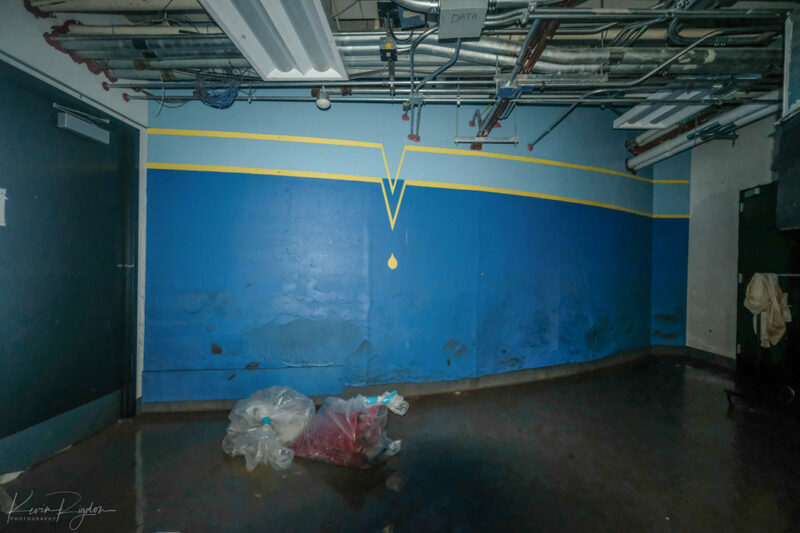 “Shades of Allison: Houston Theatre District Damaged by flood waters." Houston Chronicle, August 29, 2017. Wei-Huan Chen. “Alley Theatre Destroyed by Harvey.” Houston Chronicle, Sept. 3, 2017.